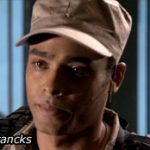 GateWorld catches up with "Lt. Aiden Ford" actor Rainbow Sun Francks to talk about the first season of Stargate Atlantis! 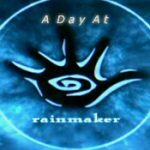 GateWorld goes inside the halls of Stargate visual effects house Rainmaker Digital to talk with Bruce Woloshyn in this feature-length video documentary. Actress Jana Mitsoula talks about her guest starring appearance as Allina in Stargate Atlantis's first season episode "The Brotherhood."